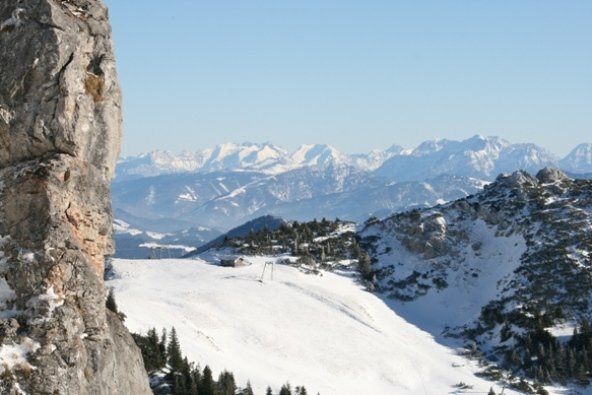 This is part 2 of the Wallcreeper trilogy, the part which will feature the story of my success. You might want to read part 1 here before you follow my narrative from wherever you are to the Alps of Austria. We (which means my wife, my son who was two years old then, and myself) had booked a bungalow for the last two weeks of January 2010 in Kiefersfelden, at the Alps right next to the border with Austria. This was meant to be a nice and calm winter holiday, and not a birding trip. Seriously, I tried to make it a family holiday. It’s just that I thought a little birding might add some diversity, for the entire family. Only the best intentions, only the best. … a bird we should be glad isn’t called Cheekcreeper. Before departing, I had decided that this was it, the chance, the trip where the Wallcreeper would fall like the Walls of Jericho and I had thus inquired about the best observation areas at local listservs. Well, the results of my inquiry were a bit underwhelming as this area seems to be somewhat underbirded, but I was nevertheless prepared, psyched-up and ready to go. We searched the high cliffs at mountain summits. In vain of course, because this is where the birds breed in summer but where they flee from in winter. And checking my calendar, it was winter, right? We searched the valleys’ cliffs. In vain. We searched numerous castles and castle ruins. In vain. 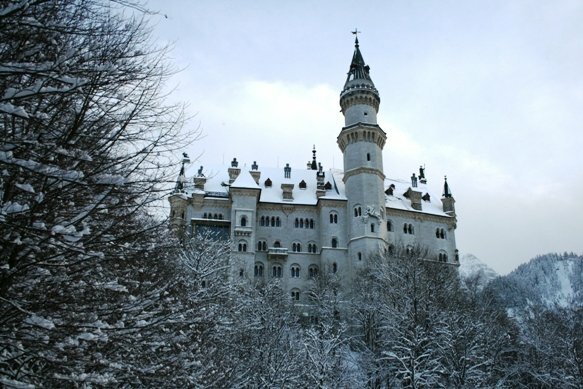 The famous castle Neuschwanstein is one of the best sites in Germany for seeing Wallcreepers year-round. The best strategy is to walk the trails around the castle’s perimeter. Unless these trails are fenced off because of the heavy snow that fell the night before. If the Wallcreeper is off-limits due to the snow, one may as well enjoy a guided walk through the castle (hoping to spot a Wallcreeper by peeking out of all the castle’s windows), unless your toddler son has the brilliant idea of going completely ballistic at the guided walk’s onset, sending you in hasty retreat to the car within seconds. Yes, this is a very long caption. I got a bit nervous. We had no immediate plans to search for Wallcreepers on this day. Instead, we wanted to visit Chiemsee (lake Chiem) and were completely oblivious to the events this day had in store for us. c) not to be disturbed unless one feels fit to face a furious Nazgul for the remainder of the day. So we needed a plan that would require us to drive along a non-curvy road for the next 2-or-so hours. Conveniently, the beautiful city of Salzburg was about an hour’s drive away, an hour that could be stretched to nearly 2 hours by driving real slowly. Salzburg itself is a neat city (which served my wife), and its castle is known for hosting – quite reliably – a Wallcreeper in winter (which served me nicely). The castle is situated on a steep small mountain above the inner city, yet can conveniently be reached by means of a small train. Unless this train is being repaired. Walking up to the castle, particularly when pushing a stroller, is as far from easy as can be for the simple reason that the constructors wanted the road to be as steep as possible to deter potential invaders. Seriously, if – say – a Hun from the plains of Asia saw that path, there’d be no chance in hell he’d even consider walking up, let alone through a hail of arrows, bullets and stones. We had no hail of arrows to brave but the deteriorating mood of a toddler. It was also getting late and the light started to fade on what had always been a grey day. I was about to give up – yet again as I had done at so many other castles before – when I saw a small compact avian something clinging to the vertical wall of the highest tower. Surely one of the nearly 10 Alpine Accentors present at the castle? One impressive hop and it was hanging upside down inside the top part of a window recess – hmmmm, not very much like an Alpine Accentor anymore. Two seconds later and the bird lunged itself into the air to vanish over a nearby roof with two wing beats, weightless like a butterfly and with the distinct and clear silhouette only shown by a Wallcreeper. I reacted calmly, and quietly told my wife, screaming at the top of my voice and gesticulating wildly, that I had seen the bird and if she could please, please be so kind and wrestle down the furiously protesting Nazgul for another 15 minutes, and that I had some chocolate as bribe if necessary, so I could quickly walk around the building to the other side and get better views, pretty pretty pleeeeease?!? To which, amazingly, she agreed. After which I – amazed – dashed through the ancient archways to the other side of the building to stare at an empty wall. At empty walls all around me. 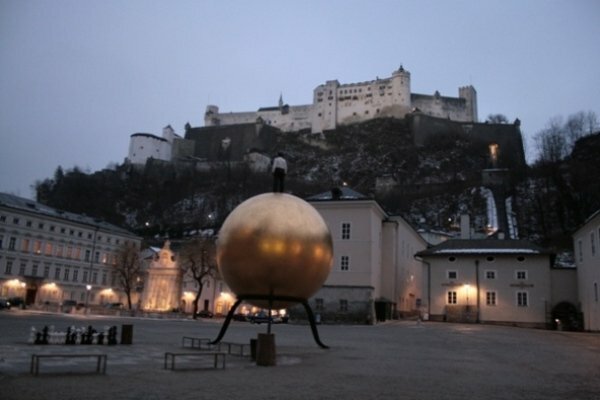 You can stare at a lot of empty walls at the Salzburg castle in 15 minutes. The bird had vanished, to where I don’t know. The looks I got of it were bad. Really bad, and really brief. Enough to identify it with absolute certainty, but there was no joy in it beyond the lifer, no colours seen, no behaviour observed (other than hopping, lunging and two wing beats). Still I felt satisfied, and I couldn’t help but smile and raise a metaphoric glass to the ‘creeper. It was fair – fair enough. The species had eluded me for so long, it had been such a hard-played game of hide and seek, that I respected the bird’s decision to give up and be seen, but not give in and be seen well. This, I felt, was a task for another day. And so ended my quest for my life Wallcreeper, after more than 20 years, in the vanishing light of a winter’s day at Salzburg Castle. And the task of another day will be described in the final installment of my Wallcreeper trilogy. Only here, on 10,000 Birds. 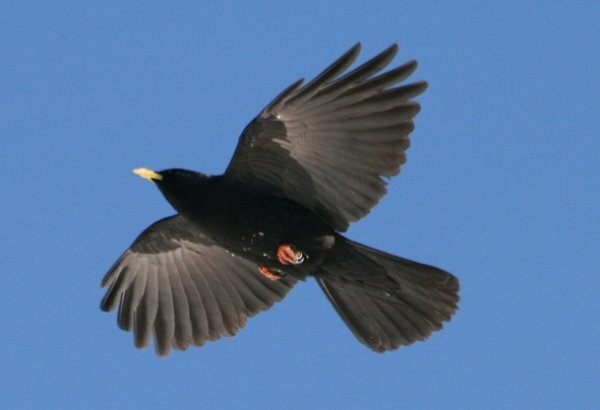 Those Choughs should be called Cheekrippers! Glad to hear you finally saw a Wallcreeper. I can’t wait for the next installment! @Corey: I forgot to mention that the steepest parts were covered in ice and snow slush and that our stroller was a small “buggy” type with only three tiny, tiny wheels and that I barely managed to not fall myself and that during the entire ascent (and descent) I was horrified and haunted by mental images of me loosing grip of the buggy and helplessly watching my offspring race down a 45° slope for a few hundred yards in his buggy. And you want arrows? Man, I tell you… maybe there were arrows but I would never have noticed them anyway. And I’ll gladly show you a wallcreeper if you can manage to organize a 20-years birding holiday to Europe and Central Asia. Well, Corey, go check Times Square for a wintering Wallcreeper, ey? But don’t go asking me – ever again!! @James: thanks! Glad you like it. Very glad you like it (I know you’re from Michigan and are thus spoiled by the most amazing birding there is in North America, so this is quite a compliment for me to get 😉 ), the final part will likely be up today or tomorrow.